It is with much sadness and a broken heart that I have to report that my pal, my friend, my dog, my Teddy has crossed the Rainbow Bridge. He had health issues that caught up with him and he told me it was time for him to go. Dr. Laura Purdy helped him over the Bridge when she came out to Teddy’s home. I will miss him very much as he was an important part of Maggie‘s and my life. 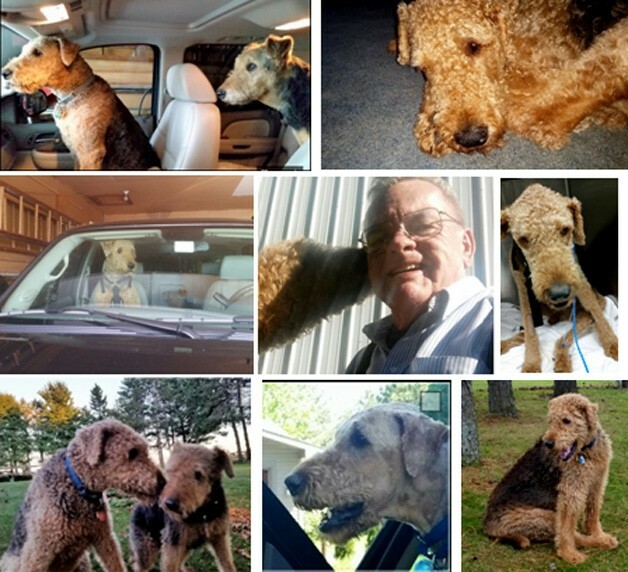 He was a challenge, a barker, a growler at people in certain professions, a runner, a sometimes pest and in the way but all in all he was a super dog and my buddy. I was very proud to be seen with him and happy I could provide him a home and the care he would need. He was a rescue dog that rescued me. It will take time for me to adjust to Teddy being gone but he is in a better place with no more pain. Maggie and I miss him. I have written up a short story on Teddy.